The Essentials of Special Education Homeschooling – Homeschooling is the ultimate individualized education plan, so it’s not a wonder why parents of special needs children consider this educational choice. In this talk, Peggy Ployhar, the CEO of SPED Homeschool covers what it takes to get started homeschooling, avoiding and conquering common pitfalls, and how to homeschool special education through high school. This talk is filled with practical advice from the trenches of homeschooling for 16 years and working for over a decade as a special needs homeschooling consultant. Customizing Your Curriculum – As the CEO of SPED Homeschool, and the former Special Needs Team Lead for the Texas Home School Coalition (THSC) and former Special Needs Coordinator of MACHE (Minnesota Association of Christian Home Educators), Peggy Ployhar speaks to one of the most frequently asked questions she receives: “What curriculum would be best to teach the unique needs of my child?” Whether you have a child who has a specific diagnosis or one who just struggles in one area of school or another, Peggy addresses in this talk how to take the curriculum you already own, or plan to use, adjust it to meet the specific needs of your child, and consequently dissolve the struggles you are currently seeing in homeschooling your unique child. How to Write an IEP and Then Use it Effectively in Your Homeschool – An Individual Education Plan (IEP) is a tool public and private school special needs teachers use to set progress goals for their students. Join Peggy Ployhar, the CEO of SPED Homeschool, for a very “how-to” oriented introduction on the basics of writing and implementing an IEP, homeschool style. This talk will take you through the entire process of the hows and whys of an IEP, the legality of the using a homeschool IEP based on the American Disabilities Act and Individuals with Disabilities Education Act, as well as many teaching strategies on how to reach IEP goals for specific diagnosis and learning struggles. Biblical Encouragement for the Special Needs Parent – While the world tells special needs parents, and their children, that disability/struggling areas should be used to excuse poor behavior, the Bible holds Christians to a different standard – one of love, compassion, and continual biblical training. Speaking towards the scripture, “Train up a child in the way he should go…”, Peggy digs into the Bible to show parents how to live up to this standard without losing their focus, or their minds. From the experience of being a parent and a foster-parent of multiple special needs children, Peggy Ployhar has first-hand knowledge of the rigorous demands put on parents who are raising, training, and homeschooling children with special needs. Woven with personal stories, biblical truth, and lots of encouragement, this talk will truly speak to the hearts of parents who want to raise their special needs children as God has called them to do. Life Skills and Transition Planning for Homeschool Special Education – Any parent knows a student’s learning goes beyond basics academics. But, parents of special needs students are even more aware of this truth. Successful post-homeschool transitioning of a special needs student requires planning. 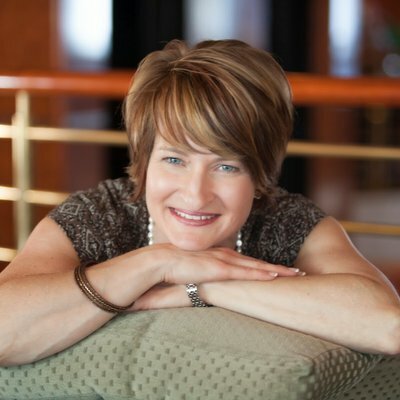 In this talk, Peggy Ployhar, the CEO of SPED Homeschool, takes parents of special needs homeschooling students through a plan that helps them be intentional in setting up a transition plan that will ready their student for life beyond homeschool. Homeschooling Special Education High School – Homeschooling high school with your special needs student doesn’t have to seem like a daunting prospect. Peggy Ployhar, the CEO of SPED Homeschool, has graduated two sons with special needs as well as helped countless other parents walk the special needs homeschooling road. In this talk, Peggy shares ideas from how to pick curriculum, write a transcript, prepare a transition plan, and record keeping strategies you must consider if your child will need accommodations and modifications in college, in testing for college entrance, or for workforce placement.